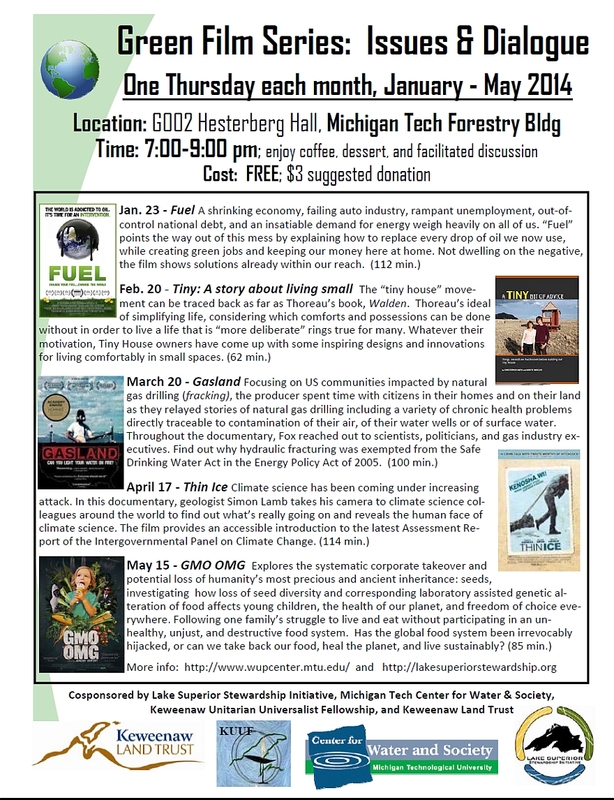 The films will be shown in Hesterberg Hall in the Michigan Tech Forestry Building. The films will begin at 7:00 PM with discussion lasting until 9:00 PM. The event is free and open to the public, though there is a $3 suggested donation. Coffee and desert will be offered during the facilitated discussion - please bring a reusable mug to save resources!